There are several terms associated with dispersal patterns. Dispersal distributions, or dispersal curves, are frequency distributions of the proportion of individuals moving different distances; dispersal kernels are probability density functions used in modeling dispersal. Because a dispersal kernel describes the probability of a seed landing within a particular region, dispersal curves can be calculated from dispersal kernels. Dispersal modeled with a simple diffusion equation (a Gaussian kernel) generates a normal distribution curve, due to the random Brownian motion assumed in such simple diffusion models. Though accurate for some species, most species appear to have leptokurtic, or long-tailed dispersal curves. The shape of a dispersal curve drastically affects estimated rates of population expansion, with normal curves having lower expansion rates than dispersal curves with longer tails. The fatter the tail of the distribution, the greater is the speed of the range expansion. Accurately estimating the shape of the curve is important, for example, in predicting spread rates of spread of the emerald ash borer. Rates and pattern of spread are often consistent with simple diffusion; however, some infestations in Michigan do not spread via simple diffusion, but have a higher frequency of long-distance dispersal events. If all control efforts and spread rate predictions are based on simple diffusion, management programs will be unprepared for long-distance dispersal events and the efficacy of management efforts will be greatly diminished. Figure 1 Normal curves are drawn in each graph for comparison. The Laplace distribution is more peaked than the normal curve, and leptokurtic. 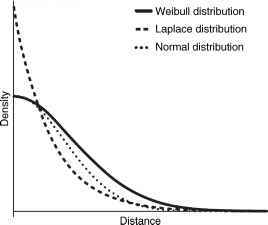 The Weibull distribution shown here has a fatter tail than both the normal and the Laplace distribution. Graphs by Hyrum Paulsen. If the tail is exponentially bounded, as in curves with moderately fat tails (i.e., a Laplace distribution) (Figure 1), then models predict that the rate of expansion of a population will remain constant. However, in curves with unbounded tails (very fat tails, i.e., a Weibull distribution), the rate of expansion of a population can actually increase over time. Because different dispersal curves can drastically affect estimates of population expansion, it is important to choose appropriate dispersal curves when attempting to predict species' population dynamics. / ^ — = cs (1 — s) — ms s represents the proportion of sites colonized, c is the rate of propagule production, and m is the mortality rate. Though not spatially explicit, spatial relationships are implied in this model by having a proportion of sites either available or not available. Some of the assumptions this model makes are that propagules are distributed randomly, and that each propagule can occupy any space in the habitat. A proportion of sites will be filled until the population reaches an equilibrium, determined by the relationship between the rates of mortality and propagule production. The population will grow at a rate that increases with lower mortality rates and increased propa-gule production. As long as mortality rates are less than propagule production, the population can persist. Though extremely simplified, this model has led to some interesting predictions about population dynamics. Because the final density of individuals is dependent on mortality rate in addition to propagule production, it will be impossible for a species to occupy every suitable patch in the population's habitat. When one individual dies, the point it occupied is empty until recolonized by another propagule. Thus, the population reaches an equilibrium where a certain percentage of sites are empty, rather than completely filling the entire habitat. Though this model yields some interesting predictions about the way population dynamics depend on propagule production and mortality rates, one of the drawbacks of this simple approximation of dispersal is that propagules in real life cannot occupy any unoccupied site in a habitat. Real dispersal is restricted in distance, with a large spatial component that is only implied in the basic Levins model. The spatial component of the model is unrealistic, being essentially infinitely large and infinitely accessible. To observe the effects of dispersal on population dynamics in more realistic situations, greater spatial detail is required. Incorporating spatial information into a model of dispersal is relatively simple by using a cellular automaton or lattice model. This type of model does not have an explicit mathematical solution but can be evaluated through simulations that can lead to predictions about population dynamics based on certain assumptions (see Cellular Automata). In this type of model, individuals are placed on a grid of polygons. Each individual has a certain chance of mortality and of producing propagules. A propagule can travel a certain distance away from its current position, and its direction can be determined by either having the propagule move through a side or corner of the parental polygon. The propagule can be restricted to land within a certain area or not restricted at all. Again, any propagule that lands in an occupied site is lost. 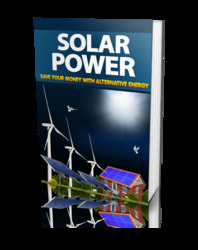 Parameters in these models are relatively simple to modify, and any combination of requirements can be included. Different dispersal distribution curves, rates of long-distance dispersal, habitat extinction, propagule production rates, and mortality rates can all be included. However, more complex models will require more computational power, and they may not be as applicable to multiple species and/or situations as are more general models. One of the interesting predictions made by relatively simple cellular automaton models is that the distributions of individuals will be aggregated, even in a homogenous environment. The amount of aggregation of individuals depends on the average dispersal distance, the mortality rate, and fecundity. Some of these models have demonstrated that patchy spread is likely during population expansion simply through the stochastic nature of mortality and propagule dispersal distances. This is an important prediction, as patchiness need not be the direct result of unsuitable habitat, but instead can be merely the product of different dispersal patterns. Cellular automata models are often used in epidemiology, and have also been applied to species invasion dynamics. Cellular automaton models are accurate if space, time, and population dynamics are best represented as discrete variables. In a species where many parameters are known, it is possible to reach a high degree of specificity in the simulations, which may be useful when trying to predict what may occur for a particular species under different scenarios. Less-specific models, though less applicable to a single species, can lead to more generalized predictions about the effects of dispersal on population dynamics. where D is the diffusion coefficient, t is time, N is the number of individuals, and x represents space. The diffusion portion of the equation can be more complex, incorporating directional movement, changes in velocity, or interactions among individuals. Increasing complexity is not always necessary to make meaningful predictions, as the simplest version of this equation matches observations seen in mark-release-recapture studies in several animals. In models of invasion dynamics, a reaction-diffusion model produces waves of invaders that advance at a rate dependent in part on the rate of increase of the population. This type of equation is most appropriate when the environment is homogenous, all individuals have similar dispersal patterns, and reproduction/dispersal occurs constantly. Such models generally produce a smooth traveling wave front with a linear rate of spread. To incorporate the discrete reproduction events (and hence dispersal events) frequently seen in plants and animals, it is appropriate to use an integrodifference equation. Integrals allow each moment in time to be dependent on the previous moment in time, thus incorporating discrete time intervals into the model, as opposed to differential equations, which assume that time is continuous. Integrodifference models consist of two main parts: a dispersal kernel (a function that describes the dispersal patterns of a population) and a density function. over time if long-distance dispersal is relatively common. Integrodifference models are more consistent with observed patterns of range expansion than reaction-diffusion models because of the accelerating rate of spread often observed. The waves of invasions seen in these models have smooth fronts, similar to the reaction-diffusion models. Space is still represented as continuous in these models, and spatial relationships are implicit, not explicit as in cellular automata/lattice models. There are many other models that can be used to investigate the effects of dispersal on population dynamics. Stratified diffusion is a variant of the reaction-diffusion equation, where a proportion of individuals are assumed to travel long distances. Stratified diffusion models have accelerating rates of spread, similar to the integrodifference models. Metapopulation models (see Metapopulation Models) are very applicable to modeling dispersal patterns and rates of spread, and are also applied to other problems in ecology such as persistence of groups of populations in specific spatial arrangements under various scenarios of habitat destruction. 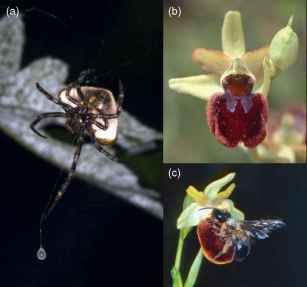 They are commonly associated with biogeographical studies. A variation on integrodifference equations that includes stochastic population dynamics (nonlinear integrodifference models) shows waves of invasion that are patchy, with variable spread.